2019 is here and you and I are kicking off a year of drawing, learning, and growing creatively by Making Art Everyday. Hold on to your butts, ’cause we’ve got a ton of information to share for this first installment! January is all about establishing the habit. This is not about “I’ll draw if I have the time”, it’s about making the time a priority. And don’t worry, we’re gonna start small. Find a time that works for your life, but for this week, focus on doing it at the same time everyday. Maybe it’s just before work, while you eat your lunch, or in the evening when the house quiets down. YOU DO HAVE TIME. No matter what, you have time to draw. You have 5-10 minutes. 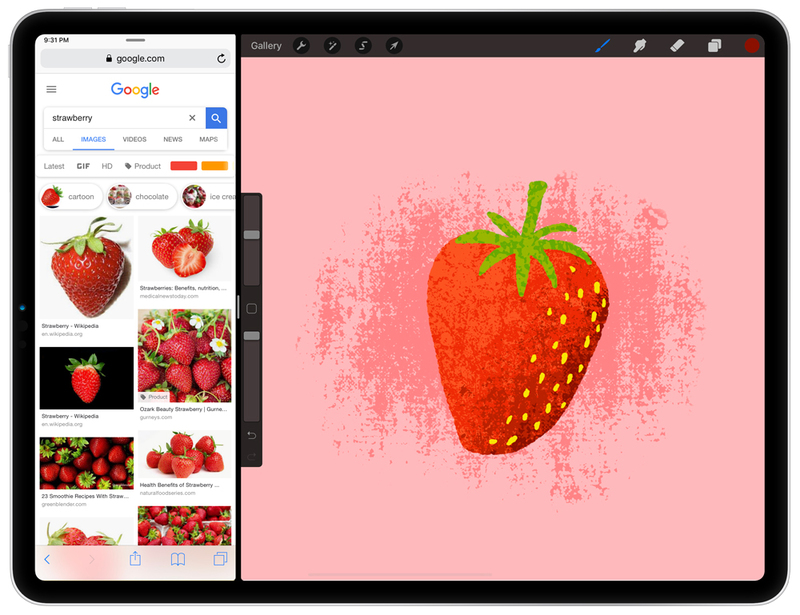 The next time you feel your fingers gravitating toward your social media feeds, grab your Apple Pencil and draw instead. This week, use the prompts below and draw for only about 5-10 minutes per day. When time is up, smile — YOU DID IT! YOU MADE ART TODAY! You can keep going if you’d like, but don’t feel bad if your work doesn’t feel finished when time is up. The important part is you made time to be creative. Don’t focus so much on being super creative and inventive with your drawings. Instead we’re focusing on being consistent with our time. January’s prompts are designed to be simple and easy to draw. Food is universal and it makes a great subject matter go-to. You can go simple or detailed in your illustrations and still come away with something recognizable. 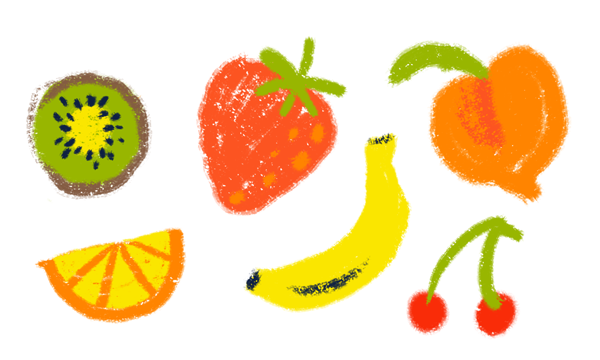 This week, let’s get fruity! 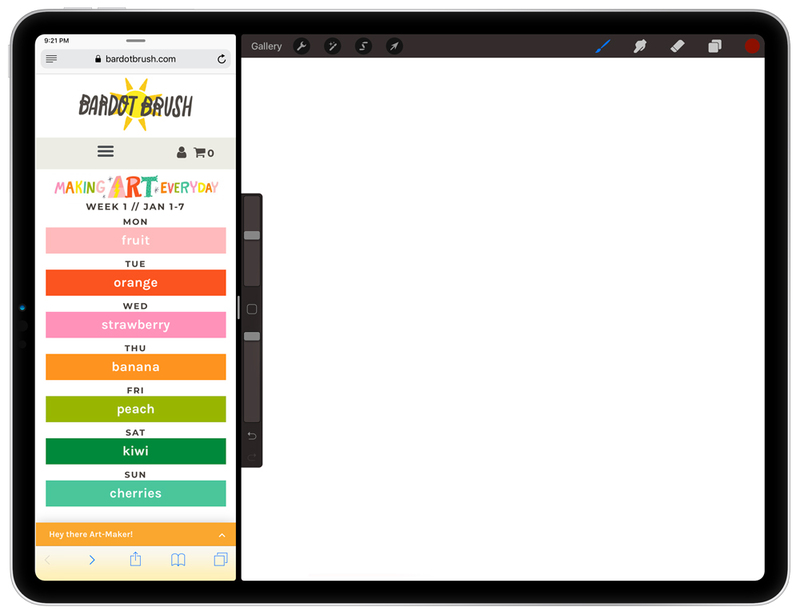 On your iPad, open Procreate and Safari in split screen view and navigate to makingarteveryday.com. You’ll see the week’s prompts and tutorial to help you learn and be inspired. Tap any of the prompts to get image references instantly. Now get to it! Draw your own interpretation of the prompt. Post and share your work. Sharing can sometimes be a scary thing but it’s really important for your growth to share and ask for feedback. And with all your impending practice, it’s great to have a record of how far you’ve come. Plus, you never know how your sharing might inspire others to do the same. Find a community that supports each other, instagram is a great place to start. Don’t forget to say you’re #makingarteveryday!